I have always been a fan of Dreft and always will be. The smell of it is amazing and there really is no competition out there when it comes to removing those food stains. Meal time with little ones are inevitably made into messy moments. ENJOY IT! They will get older, learn to eat properly, and you'll miss laughing and wonder at the spaghetti that mysteriously landed on their back. Did you know that studies show that smashing, throwing and playing with food actually helps babies learn? And science has confirmed what kids seem to instinctively know that playing in the dirt and mud is fun! But did you know that it actually helps soothe, calm and relax children! In short, playing with mud can make kids happier! A Dreft survey with Wakefield found that 87 percent of moms frequently encourage their children to pick activities that are unlikely to get them messy over ones that are, even though 81 percent agree that their child learns more when they make a mess and 89 percent agree that children are happier when they make a mess! My mother is definitely part of that 87% even with MY child. I would say that I am part of the 13% that doesn't mind the mess (unless she's wearing white!) The survey also showed that 88 percent of moms have let their children play in only a diaper specifically so they don’t get their clothes messy and 80 percent of moms have thrown out clothes specifically because they felt the mess wasn’t worth washing out. <~ That's BANANAS! I always have a drawer filled with play clothes because I know you can't stop the inevitable messes. Besides, Dreft always makes it clean. 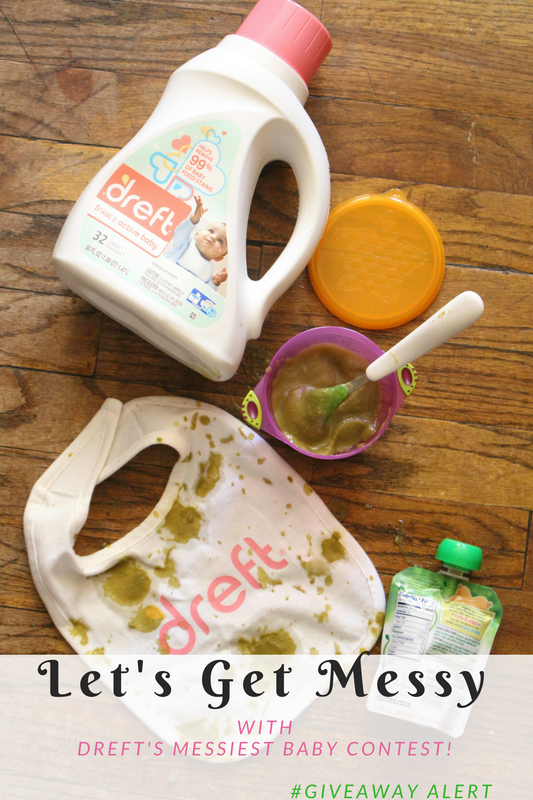 Dreft recently challenged us to get messy and have some fun. Now they want to challenge you to let your baby get messy. 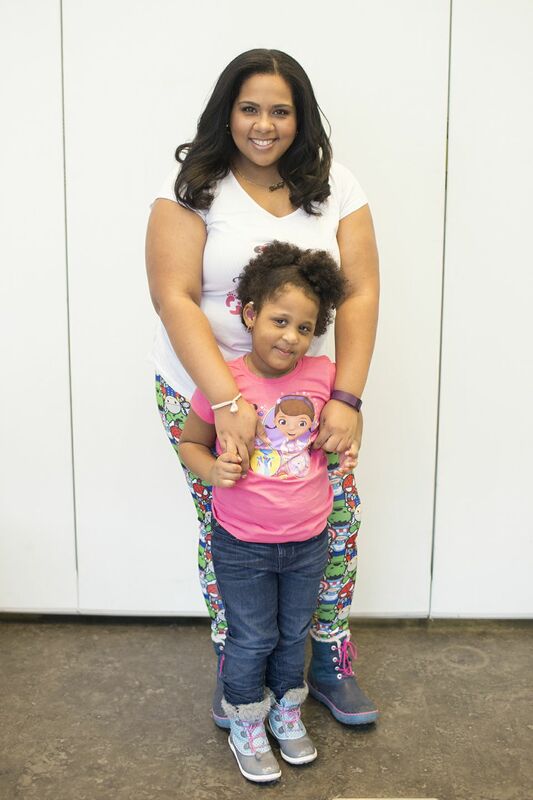 Whether it’s in the kitchen, outside or in the playroom. 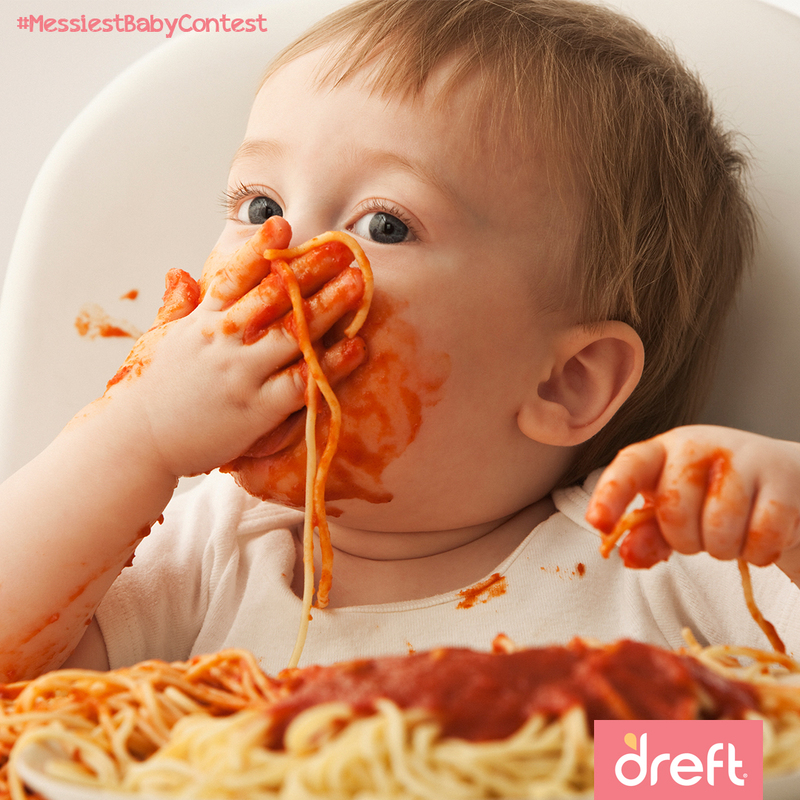 Be sure your camera is nearby because the Dreft Messiest Baby Contest is going on right now, and you can’t win if you don’t enter! Dreft is excited to launch the Dreft America's Messiest Baby Contest, inviting families to share their favorite messy baby moments for a chance to win prizes, including the cover of the May issue of Parents Magazine! On October 25th, Actress Molly Sims got a little messy with the little ones and helped Dreft launch their nationwide search for Dreft’s America’s Messiest Baby at the Dreft Messy Play Date Party in New York City. With two children and one on the way, she understands the value of messy play and has embraced the messy journey of #amazinghood in her own personal life. 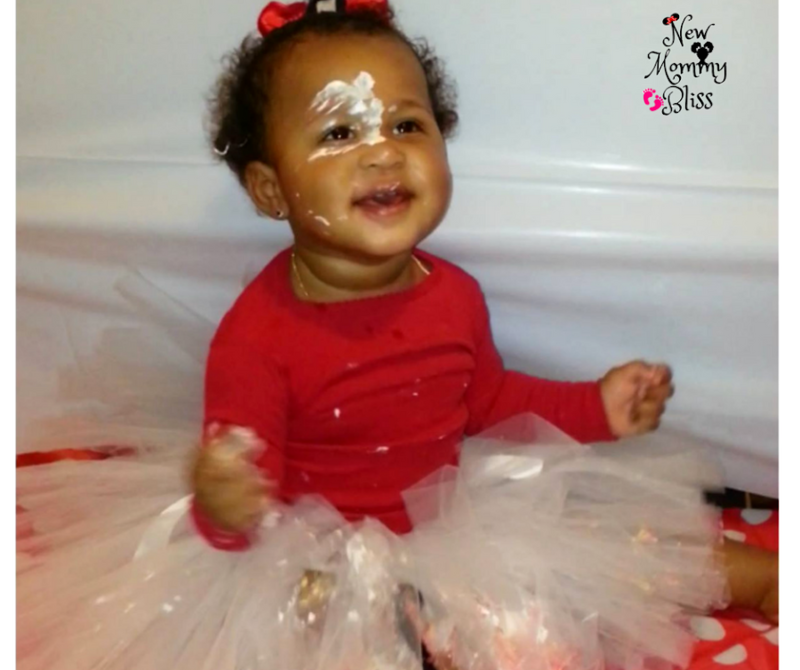 Enter by submitting a photo of your favorite messy baby moment at www.parents.com/dreftmessiestbabycontest or posting your photo on Twitter or Instagram using the hashtag #messiestbabycontest. Winners will also receive a supply of Dreft laundry detergent, but you have to send in your picture before November 30th, 2016. 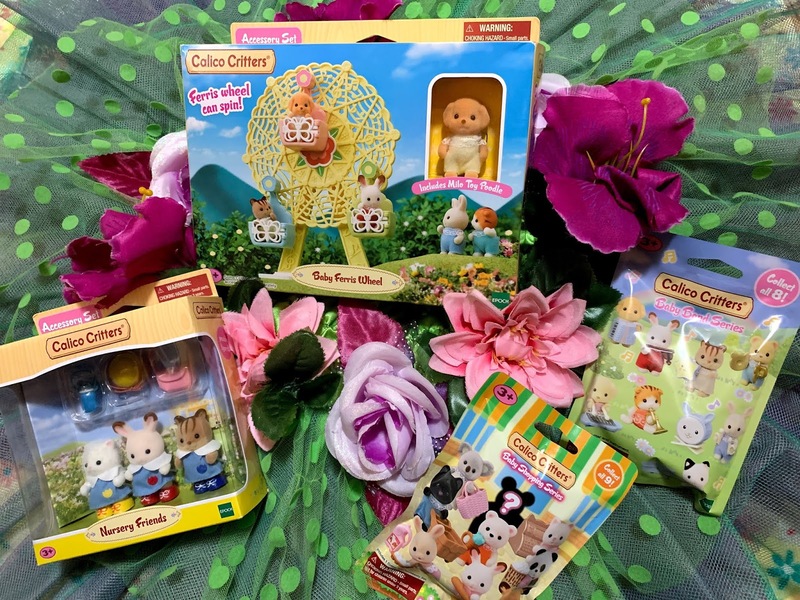 Join in on a little bit of Dreft #MessiestBabyContest Twitter Party fun! It will take place on Monday, November 14th from 9PM-10Pm EST, so make sure you RSVP: http://bit.ly/2f1Djbj. There are some amazing prizes listed so you won’t want to miss out! Spaghetti makes the biggest mess, but my homemade vegetable beef soup is a close 2nd! The messiest food they eat is spaghetti-os! Ice cream, cake and pasta dishes make the biggest mess. My daughter can make quite a mess with a chocolate ice cream hot fudge sundae. She somehow manages to wear more than she eats. Ice cream makes the biggest mess. The food that makes the biggest mess is my Spaghetti and Meatballs. It gets everywhere! Lasagna makes the biggest mess with our little one! Spaghetti makes the biggest mess. Spaghetti makes a big mess, all that red seems to get everywhere and stain everything. I find that cupcakes with colored frosting make a big mess! Spaghetti sauce and tomtao sauce in general. Oh I have to say in our house its spaghetti! My grandkids get messiest with sloppy Joe, cake and applesauce. I think spaghetti is the messiest with sauce. That's such a fun meal though. We love it. Spaghetti! Such a big mess! Pasta and fruits are very messy. Definitely spaghetti, I have so many pics of my oldest making a huge mess from it. smashed peas! they stain everything! I think spaghetti or sloppy joes make the messiest messes! Spaghetti & cake are soooo messy! Spagetti or cupcakes is always a bit of s mess.